With increased tax rates on the cards for 2018, you may be looking to make the most of tax benefits for increasing your retirement savings. But numbers show how maximising your tax efficiency and achieving the best possible income in your golden years could instead mean finding a balance between your discretionary and retirement savings. 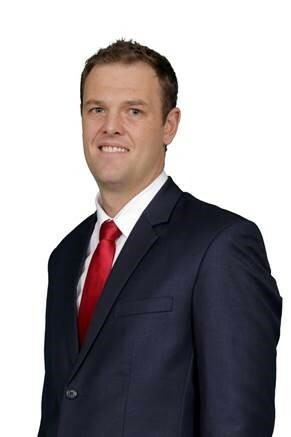 Danie Venter, a Certified Financial Planner and Advisory Partner at Citadel Investment Services, notes that making sure that you are saving enough for a financially secure retirement is absolutely crucial, but warns that many investors fall prey to the common financial mistake of over-contributing towards their retirement funds. The South African Revenue Service (SARS) allows tax deductions for contributions to a pension fund, provident fund or retirement annuity up to the value of 27.5% of the greater of your taxable income or remuneration. This deduction is also limited to an annual ceiling of R350 000. “This represents a generous tax incentive to increase your retirement savings, but remember that your investment strategy should also take into consideration your tax consequences after retirement,” he says. To demonstrate the benefit of having a savings mix, he offers the example of a 44-year old investor named Richard, who earns R62 500 each month or R750 000 per annum. Having lived frugally and saved faithfully from his first pay check, Richard now has R2 million in his retirement savings pot and is free of any other debt. Venter then compares two scenarios based on Richard’s decision to focus solely on retirement savings, or opt to additionally build up a discretionary savings portfolio. Wishing to retire at the age of 65 years, Richard increases his retirement fund contributions to 27.5% of his salary, or R17 187 each month, amounting to a total of R206 250 every year. Without retirement savings, Richard’s total tax liability would equate to R212 490. Implementing the 27.5% contribution would then mean a tax saving of R81 000 every year, leaving him with a net annual income of R412 175. Assuming that his contributions increase by 6% each year in line with inflation, and that his retirement portfolio delivers returns of 8.5% per annum net of fees, his retirement savings would ultimately be worth a princely R8.9 million in today’s value. He then invests the remaining R2.15 million in a discretionary investment portfolio to ensure himself better access to his funds in the event of an emergency and R5.95 million remaining in his retirement savings, which he uses to purchase a living annuity. He selects a 7.5% drawdown level from both his discretionary and his retirement savings for income. However, future withdrawals from his discretionary savings will be subject to Capital Gains Tax (CGT), which is capped at an effective tax rate of 18% for individuals and has an annual capital gains exclusion of R40 000 per annum. The income from his retirement savings on the other hand will be subject to Income Tax which could accumulate to marginal rate of 45%. The table below reflects these principles in the 7,5% drawing made from both his retirement and discretionary portfolios. By comparison, had Richard invested all his savings in a living annuity instead of withdrawing a one-third portion to invest in discretionary savings, he would need to withdraw nearly a third more from his living annuity each year to achieve a similar income, or at least R690 000 per annum. Which would then be subject to an effective tax rate of 26.2%, meaning that he would also be paying R70 000 more in tax each year than if he had invested a portion in discretionary savings. In this scenario before deciding how best to save towards his retirement Richard consults a financial adviser, who advises him to consider implementing a discretionary savings portfolio in addition to his retirement savings. Instead of investing the full 27.5% tax deductible portion of his salary into retirement savings, Richard chooses to contribute 15% of his salary or R9 375 every month to his retirement savings. His net annual income after tax would therefore change to R469 718, instead of R 412 175 where he maximises his retirement savings contribution (27.5%). Instead of spending this difference of R57 543 he decides to invest this amount in a discretionary savings portfolio. Assuming that he again increases his contributions in line with inflation of 6% every year, and that he achieves the same 8.5% return net of fees, this means that at the age of 65 years Richard would have a total of R6.4 million in his retirement savings and R1.7 million in discretionary savings. The discretionary savings is then bolstered by withdrawing R1.37 million from his retirement savings, paying only R247 500 in tax. He then invests the R5 million remaining in his retirement savings in a living annuity. To achieve a similar annual income of over R500 000 as in the first scenario, he would need to withdraw as little as R372 875 or 7.5% from his retirement savings each year, and supplement his annual income by withdrawing just under R223 948 (8%) from his discretionary savings. Resulting in a tax saving of R100 000 in comparison to exclusively contributing towards retirement savings. Venter emphasises the need for flexibility in building your investment portfolio, pointing out a range of additional benefits to ensuring you have a savings mix. For example, unlike retirement savings, discretionary investments are not restricted with respect to where you can invest. For example retirement vehicles restrict offshore exposure to 25%, whereas discretionary savings can invest fully offshore, allowing for protection against a volatile local currency. “Also remember that once your retirement funds are converted into retirement income (or a pension), “emigrating” with the funds will not be possible as even should you decide to emigrate from South Africa, your income would first need to be paid into a South African Bank account.